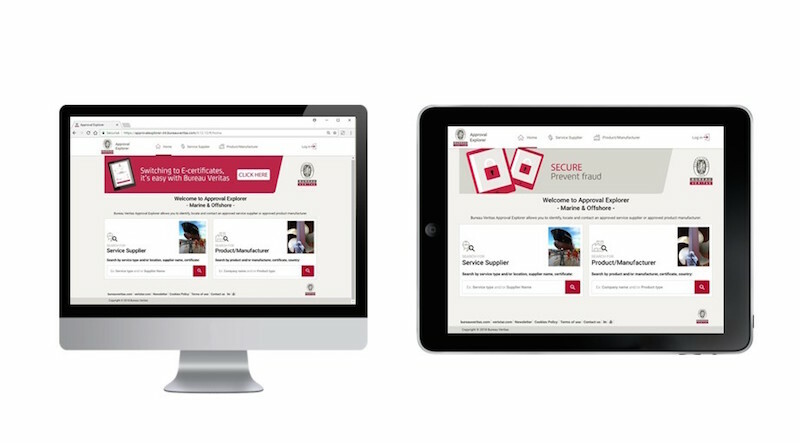 Bureau Veritas Marine & Offshore today launched the latest addition to their end-to-end and integrated platform of digital tools and services, Approval Explorer, a free and user-friendly web application available on any electronic device. The new Approval Explorer tool uses a powerful search engine, which allows all maritime stakeholders to identify, locate and contact Bureau Veritas approved service suppliers or manufacturers, as well as search for certified products and materials, all around the world. Approval Explorer will support the designer searching for specific equipment; the shipyard looking for the latest certified products; the flag authority willing to issue a list of certified service suppliers; and the ship manager arriving at a port and searching for the closest approved service suppliers. Advanced features enable those users to search with keywords, create filters and favourites, and to export and share their findings. In addition, authenticated users will be able to download copies of certificates and search on the contents of those certificates, when made available by service suppliers and product manufacturers.